This comic must continue tomorrow! Though I'm wondering how he touched the TD statue without perishing! Maybe it's not the real McCoy. (11-27-2018, 11:18 PM)VinnyVideo I'm wondering how he touched the TD statue without perishing! Maybe it's not the real McCoy. Dustin put it in a white box. He did so staff members won't perish when touching the statue. Oh and so it doesn't get dusty. 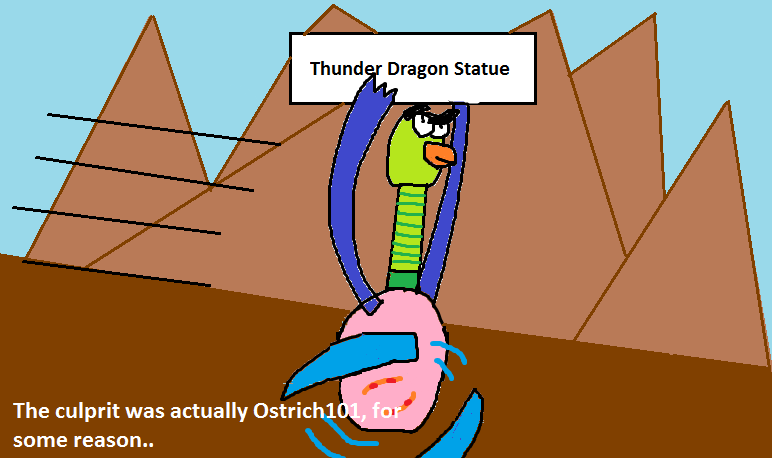 Here is the next part of the comic! Needs some high-octane chase music. BEHOLD, The end of the comic! (11-29-2018, 08:21 PM)VinnyVideo Needs some high-octane chase music. this is exactly the kind of thread mfgg needs. excellent content. Why was the end rushed? If you have a reason for that you can just say it. Otherwise, what was the reason you felt like making the last page, or the whole comic if you had this in mind? 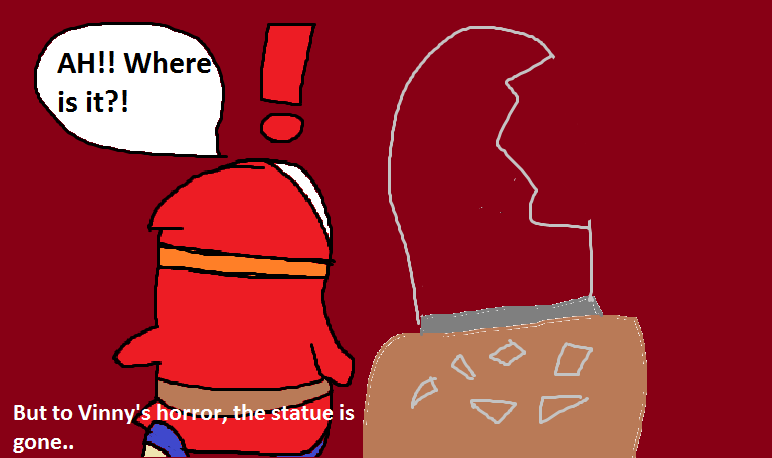 you just stole the statue (for some reason) and then you returned it without any problems...? That aside, I'd like to see a continuation of this if you consider doing it. (12-14-2018, 07:21 AM)Amine Retro Why was the end rushed? If you have a reason for that you can just say it. Otherwise, what was the reason you felt like making the last page, or the whole comic if you had this in mind? 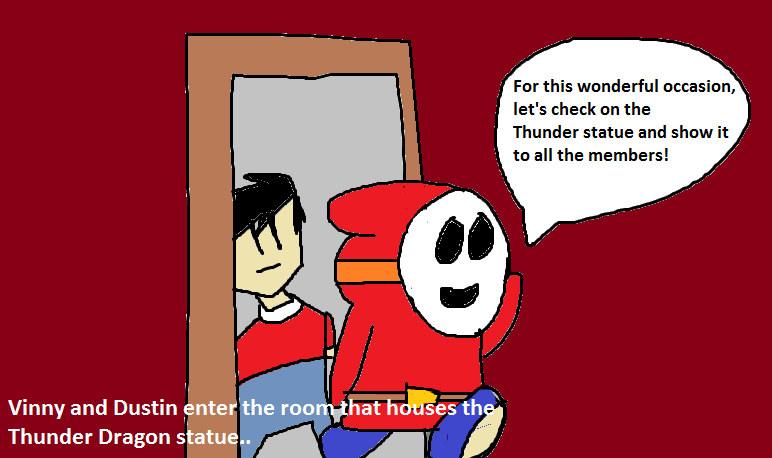 you just stole the statue (for some reason) and then you returned it without any problems...? The ending was rushed (and how did you know it was rushed?) 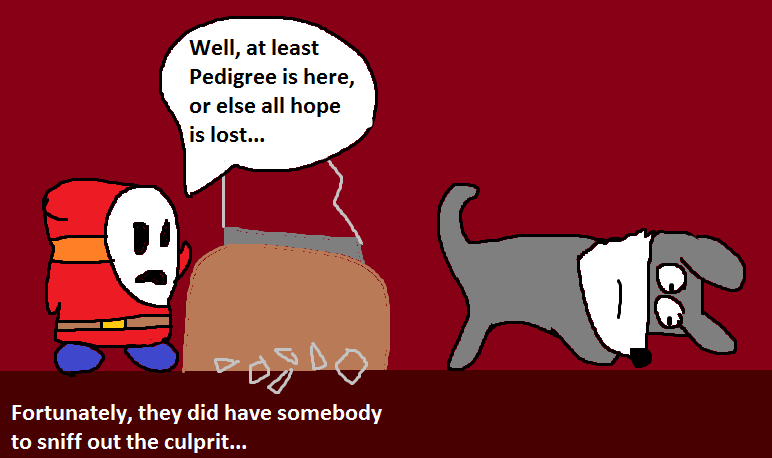 because i didn't make the comic for a while, and Slug (or JC) kept asking me to continue it. 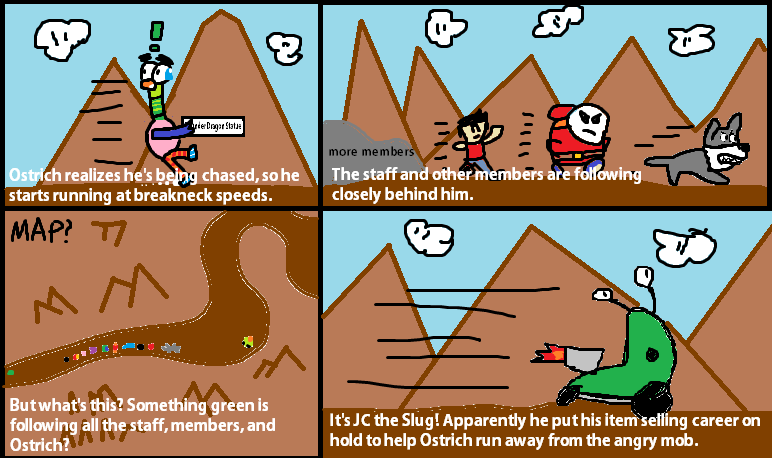 And since i ran out of ideas for the comic, i ended it the way i could do quickly, while Slug had more parts he wanted in the comic and make it more fleshed out, like a part where he leads the member mob away from my avatar by making fake Ostrich tracks. 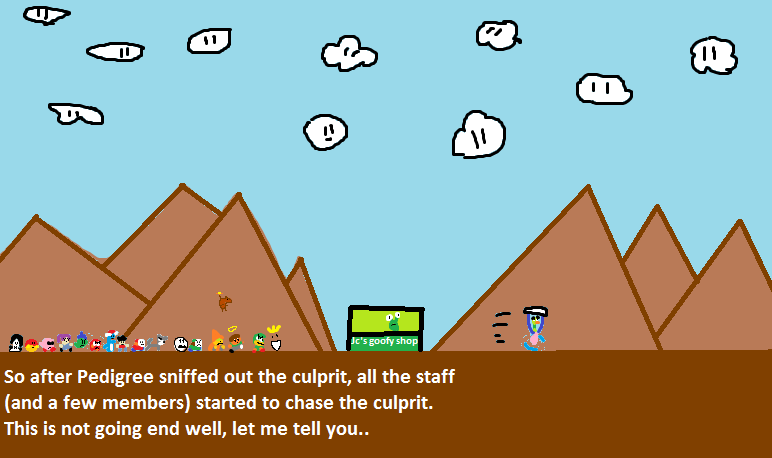 As for the reason i made the comic in the first place, it was because i saw the old Banjo Threeie trailer which had most of the characters from both games running after Banjo and Kazooie, for some reason, and i thought it was pretty good, so i had an idea where it's the same thing, but with MFGGers. 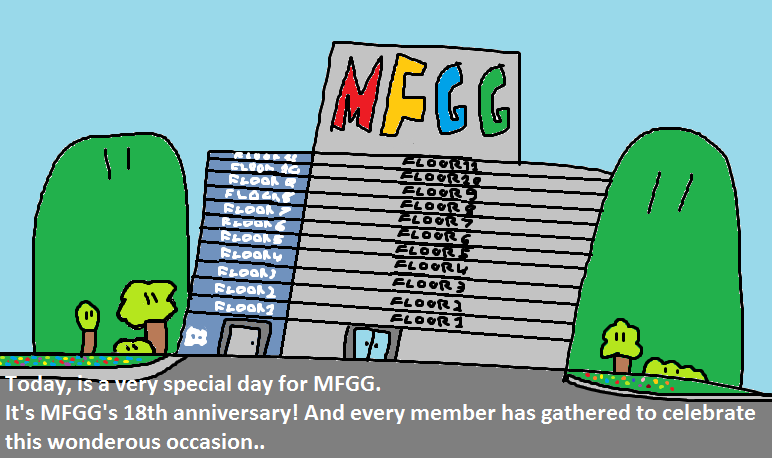 While i won't continue this, at least as of now, i do have a idea for other MFGG related comics, where it talks about some aspects of MFGG, like the Quality Control, random fights on the Discord, some members pestering HylianDev if LumaSMS is done (yes i know Hypernova already did this, but i wanted to make my own version), etc. Anyway, i hope this answered your question. You could've took as long as you wanted to come up with an end, but i guess your brother bothered you about it so that's kiiiind of a reason? When i said "what was the reason you felt like making the comic if you had this in mind", i didn't mean that you shouldn't have made this comic at all, it's cool to make a comic, but i said if you had the ending in mind you should've thought a little more about it. But you probably didn't so it's fine i guess. Gengar actually was filming it the whole time! You Were Daydreaming And You Want Proof?